Many have written about the last seven things that Jesus said while He was hanging on the cross. I think that, in a sense, Jesus was not only setting an amazing example for us but He was also giving us instructions for living. In the following brief sharing I will try to look at those things he said in light of how He instructs us to live"
"Father, forgive them; for they do not know what they are doing." In saying these words Jesus was giving us a true picture of what forgiveness looks like. He was telling us that our forgiveness is not dependent on the nature of the heinous act that is perpetrated against us or even if the offender really knew what they were doing or not. 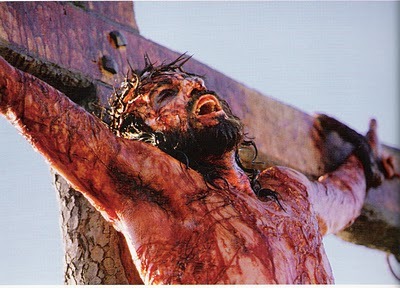 Hanging there on the cross Jesus simply forgave. "Woman, behold, your son!" ... "Behold, your mother!" Jesus so loved His mother.. a sermon in and of itself. In these verses we see that Jesus looked past His excruciating pain and showed care for Mary as he entrusted her to his friend John. It reminds me how at the beginning of humanity Cain, speaking of his murdered brother Abel, challenged God saying: "Am I my brother's keeper?" From the cross Jesus seems to be answering Cain's question. "Truly I say to you, today you shall be with Me in Paradise." What can be said about the thieves on their crosses that hasn't been said before.. one cursed at Jesus and the other simply asked Jesus to remember Him when He came in His kingdom. And Jesus assured the latter of Paradise. It is almost too simple for even me to accept. Maybe that is the instruction in this verse - keep the gospel simple. Jesus speaks to us from the cross of His humanity, His suffering and His pain.. and in this verse of His thirst. He reminds us of His description of the poor being those sick, imprisoned and thirsty.. and of His instructions to care for such as these. When we care for them He tells us that we care for Him. These are difficult words to read.. something deep inside me resonates with what Jesus is saying and how He is saying it. Many wax theological about this and point back to Psalm 22 and seem to think Jesus is just fulfilling prophetic scripture. I think that He is giving us a glorious example to follow when we are in pain. He shows us that trusting the Lord sometimes involves questions and sometimes involves feeling alone. His words comfort me. In these three words the Son of God settles salvation and ends the reign of Satan on earth. The world has been different since this moment. Because Jesus finished what He started people have hope. In these words Jesus instructs us to endure and finish the course we are on until that day when we can say, like Paul, that we have finished the race. With His dying breath Jesus instructs us about living. In a sense He is instructing us to commit ourselves each day to the Lord. He instructs us to trust the Lord even when things are the darkest.. even when the pain seems more than we can bear.. even when everyone has forsaken us. I think that there is no better way to live or die.